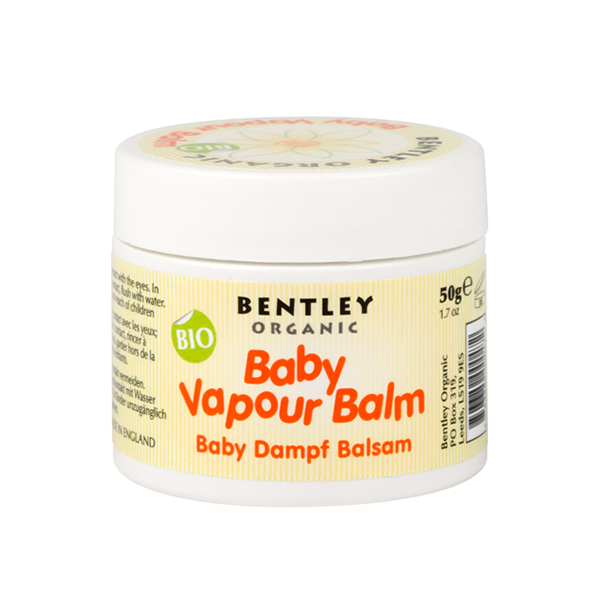 Bentley Organic Baby Vapour Balm contains a mild blend of carefully selected natural ingredients, including organic eucalyptus oil, to help ease your little one’s nasal congestion so they can breathe and sleep more comfortably. Apply a small amount to baby's chest and gently massage in. For external use only. Olea Europaea Fruit Oil*, Cera Alba (Beeswax)*, Copernicia Cerifera (Carnauba) Wax*, Eucalyptus Globulus Leaf Oil*, Limonene*. The whole of winter my little one has been congested with an intermittent mucusy cough. Since receiving this balm I’ve rubbed it on his chest every night before bed, and after just 3 nights he was breathing easier. 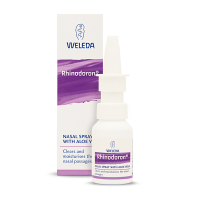 I’ve continued using it and his cough has gone away - I’m pleased that he can now breastfeed easily and have a better nights sleep.